Chapter 1: Business Environment and Challenges : explaining the working challenges faced by any business manager due to extensive competition and resultant market forces. Chapter 2: Supply Chain Function and Structure : defining the concept and explaining the structure of supply chain with reference to the dynamics of the customer`s requirements. Chapter 3: Customer Focus in Supply Chain Management : going into the customer behaviour and adjusting the supply chain to meet the ever-changing demand. Chapter 4: Re-engineering and Re-structuring : bringing out the necessity and methodology of process transformation through BPR and ERP for effective results. 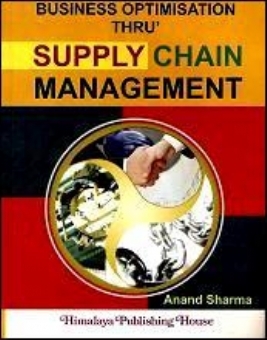 Chapter 5: Strategic Supply Chain Management: aligning the supply chain strategies with the overall business strategy of the organization. Chapter 6: Excellence for Competitive Advantage : Intense global competition necessitates. 5 elements integration to reach excellence level for better market share. Chapter 7: Retail Supply Chain Management: discussing very dynamic concept of Supply for the retail market with its peculiar dimensions. Chapter 8: International Business and Global Supply Chain : highlighting special emphasis on international business and its dynamics. Chapter 9: Quality and Reliability in SCM : bringing out the importance of quality and of E-Business effective method to stay in the market. Chapter 11 : Buyer-Vendor Relationship : discussing the effect of the external forces on business through Vendor development and partnership concept. Chapter 12 : Distribution Management : The concept of improved and effective distribution system with its integration with marketing and production for timely supplies. Chapter 13 : Logistics Management and Outsourcing : discussing the strategies of logistics for effective co-ordination and integration, bringing in the opportunities of outsourcing and reverse logistics for business improvements. Chapter 14 : Information Technology — The SCM Enabler : bringing out the involvement and integration of various supply chain elements through the information technology tools for domestic as well as global operations. Chapter 15 : SCM Performance Measure Parameters : discussing the importance of performance measurement to know how effective the operations have become. Chapter 16: Human Assets Management : A special chapter added to highlight the importance of human elements in effective supply chain operations. Chapter 17 : Mathematical Models for SCM : another special chapter explaining the use of mathematical models for better decision making in various areas of responsibilities of the business manager.